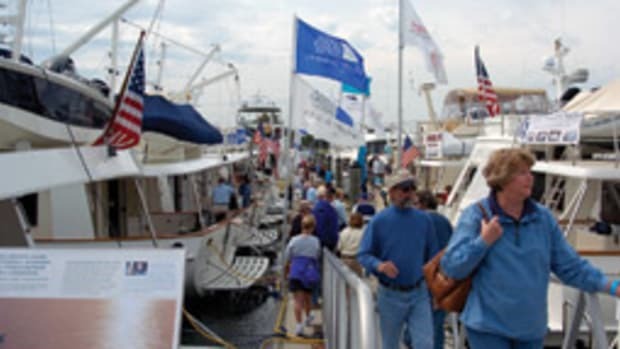 The Baltimore Boat Show, Maryland’s longest-running indoor boating event, is hosting its first Special Preview Night benefiting Wish-A-Fish Foundation on opening night of the 2009 show. 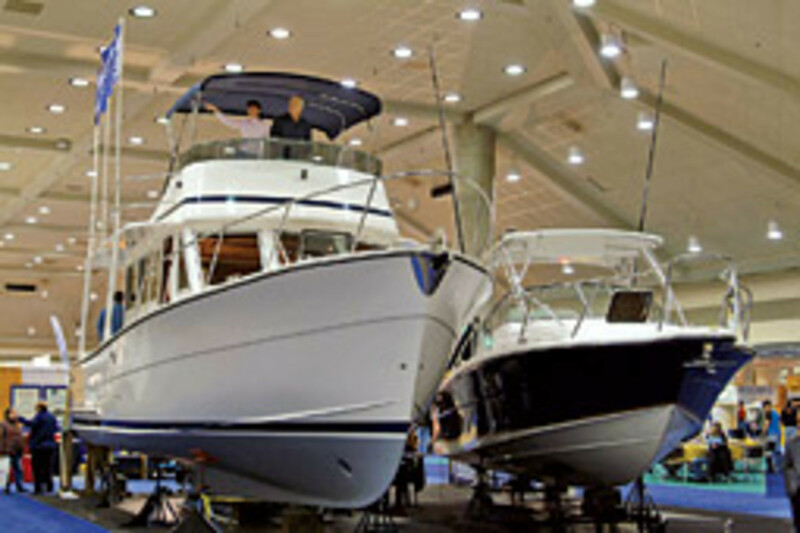 The 2009 Baltimore Boat Show runs Jan. 21-25 at the Baltimore Convention Center. Preview Night guests will be among the first to experience the 2009 Baltimore Boat Show, including more than 500 powerboats, the Take Me Fishing Center, and a Green Boating Zone showcasing hybrid boats and eco-friendly accessories. The special preview night, Jan. 21, will also feature live music, a silent auction and cash bar, with all proceeds going to the Wish-A-Fish Foundation. Wish-A-Fish provides relief for families of children with special needs by hosting them for a day of fishing and fun on the water. Baltimore Ravens linebacker Jarret Johnson will make an appearance at the show Jan. 24 to meet fans and sign autographs between 4 and 5 p.m. 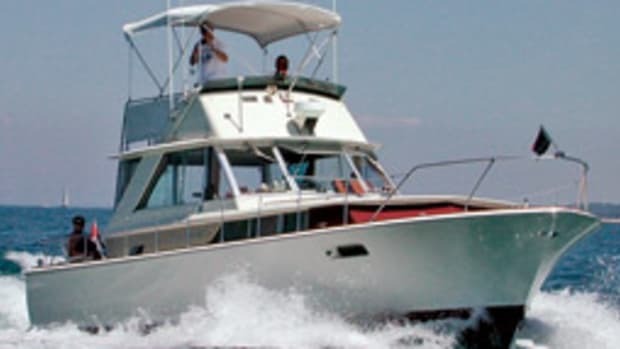 Visitors to the Baltimore Boat Show can also enter to win a Day on the Bay sweepstakes. The winner will accompany Johnson on a fishing excursion onboard the 37-foot Post Sport Fisherman, Dancer. The Ravens cheerleaders will also visit the show from 5-7 p.m. Jan. 23. ACR Electronics of Fort Lauderdale is voluntarily recalling some of its GlobalFix iPRO EPIRBs because a “small percentage” of them might not activate manually. ACR discovered that some of the witness seal tabs used in the manual activation of the GlobalFix iPRO required excessive force to put the switch into its correct position. The water-activation feature works separately and is not affected by the manual switch. Contact ACR at (954) 862-2110 or e-mail nbuckle@acrelectronics.com. Sea Sense, the women’s sailing and powerboating school is offering a seven-day, liveaboard, sailing course in the British Virgin Islands for beginner to intermediate sailors. Participants will sail and navigate to many of the ports and islands in and around the BVIs, while learning from experienced Coast Guard-licensed instructors. The curriculum includes seamanship, sail trim, navigation, man-overboard prevention and recovery, engine maintenance, close-quarters maneuvering, mooring and anchoring. 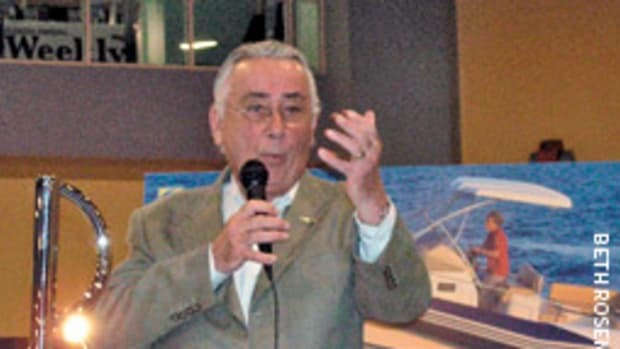 The course will emphasize the skills necessary for bareboat chartering and passagemaking. The class, which costs $2,750, will take place March 15-21, aboard a fully equipped cruising sloop. 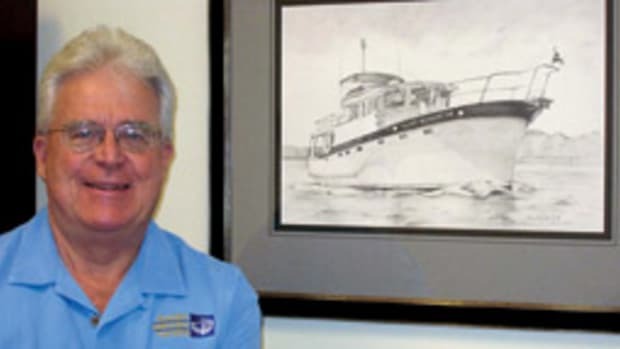 For information, go to www.seasenseboating.com. The November terrorist attacks in Mumbai, India, make it more important for boaters to be vigilant, according to the Coast Guard Auxiliary. People who live, work or relax near the waterways can assist the Coast Guard by reporting suspicious activity through the America’s Waterway Watch program. America’s coasts, rivers, bridges, tunnels, ports, ships, military bases, and waterside industries are all potential targets, according to the Coast Guard Auxiliary. Though waterway security has been increased greatly in recent years, with more than 95,000 miles of shoreline across 290,000 square miles of water and about 70 million recreational boaters in the United States, the Coast Guard and other law enforcement agencies cannot do the job alone. Boaters should be on the lookout for unusual surveillance of vessel or waterside facility operations, unattended boats near bridges, unusual diving activities, unauthorized vessels operating in restricted areas, or other suspicious activities. To report a suspicious activity, call the National Response Center at (877) 249-2824 or radio the Coast Guard on VHF channel 16. Call 911 or channel 16 to report immediate danger to life or property. 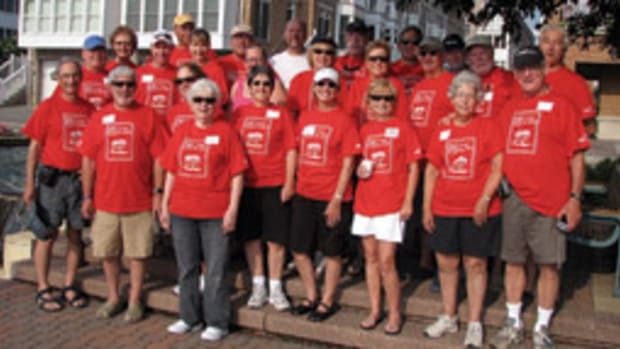 For information on the America’s Waterways Watch program visit www.americaswaterwaywatch.org. A zebra mussel was discovered at the Conowingo Hydroelectric Dam in Maryland, the first time the species has been found in the lower Susquehanna River. The mussel, about a half-inch in size, was found inside a water intake at the hydroelectric plant. It had not yet attached itself to the intake structure. The nine-mile lake behind the Conowingo Dam stretches into Pennsylvania for five miles. No other zebra mussels were found in the lake. Zebra mussels pose serious threats because of their potential to plug industrial and public water supply intakes that draw from infested waters. Zebra mussels also disrupt aquatic food chains by filtering out the microscopic plankton upon which fish and other aquatic organisms rely. The zebra mussel is native to the Black and Caspian seas region of Eastern Europe. 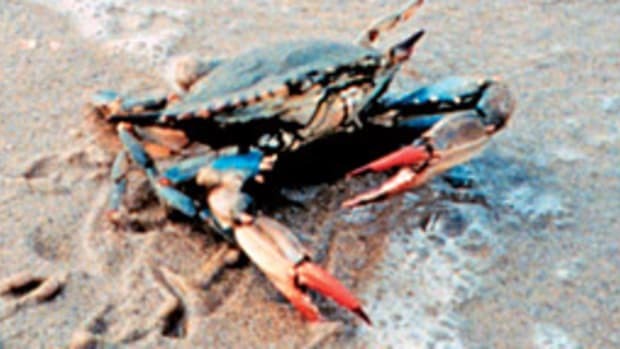 They were introduced to North American waters when oceangoing ships released infested ballast water into the Great Lakes. NOAA’s Fisheries Service announced that the port of New Bedford, Mass., claimed the 2007 top spot for value of landings for commercial fishing, primarily due to sea scallops, bringing in $268 million. The port of Dutch Harbor in Unalaska, Alaska, made the country’s top port for landings in 2007. Commercial fishermen unloaded 777.2 million pounds of fish, primarily Alaskan pollock, at the port. The total domestic commercial landings for 2007 were 9.2 billion pounds, valued at $4.1 billion. Reedville, Va., ranked as the No. 2 port for quantity of landings in 2007 with 421 million pounds. Empire-Venice, La., was third at 323.1 million. The major fish product landed in both Reedville and Empire-Venice was menhaden. New Bedford was ranked No. 1 for value of landings for the eighth year in a row, even though the port’s total landing value was down $13.4 million from 2006. Dutch Harbor was ranked second in value of landings at $174.1 million, which was up $8.9 million from 2006. For information on the nation’s commercial and recreational fishing, visit www.nmfs.noaa.gov. In just their second attempt, students from the University of Maryland’s A. James Clark School of Engineering took first prize this summer at Unmanned Vehicle Systems International and the Office of Naval Research’s 11th International Autonomous Underwater Vehicle Competition. Twenty-five teams from around the world competed in this year’s event, held at the U.S. Space and Naval Warfare Systems Center’s TRANSDEC Facility in San Diego. 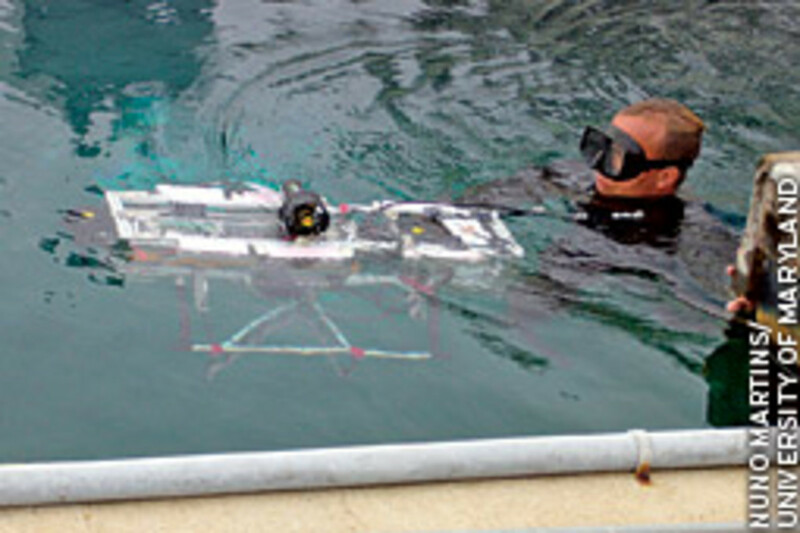 In the final event, autonomous underwater vehicles had to dead-reckon about 50 feet through a starting gate, follow a pipeline, dock with a buoy, track and hover over an acoustic “pinger,” and grab an object and carry it to a floating ring. The Robotics@Maryland team faced some tough challenges along the way, according to the school’s Web site. “Despite losing our main vehicle computer, busting a thruster propeller, temporarily losing our firewire cameras and watching three team members’ laptops die … the group worked together and handled each problem in turn,” says Joseph Gland, the graduate student advisor for the team. The top rankings and awards included: 1) University of Maryland, $7,000; 2) University of Texas at Dallas, $5,000; 3) École de technologie supérieure, $3,000; 4) University of Florida, $2,000; 5) United States Naval Academy, $1,000. Inmarsat is planning to offer an entry-level, globally deployable, combined voice and data service targeted at small boats. The new addition to the company’s FleetBroadband family, FB150, will deliver voice, IP data up to 150kbps and SMS, and is planned to be available by mid-year, according to the company. FB150 will offer a voice connection at landline quality, accessible simultaneously with internet-capable IP data and simple-to-use SMS, according to Inmarsat. “Inmarsat and the FB150 manufacturers are committed to ensuring the terminal pricing will address the needs of the sub-$5,000 hardware sector,” says Piers Cunningham, head of maritime business at Inmarsat. The maker says the above-deck antenna unit will be compact and easy to install. The below decks unit will be similarly scaled and offer standard interfaces to allow quick and easy connection to PCs and “off the shelf” peripheral services, said the company. Visit www.inmarsat.com for information. Taylor Made Products has acquired the D-Icer product line from Pyramid Technologies Industrial, LLC (Pyramid Tech) of Meriden, Conn. The manufacturing and distribution of the product line has been moved to Gloversville, N.Y., and is immediately available as part of the Taylor Made Products full line of marine accessories. The D-Icer is a submersible motor-driven water circulation unit developed to prevent ice from forming around docks and pilings by propelling warmer subsurface water to the surface. The oil-free design is energy efficient and offers an optional thermostat control to further reduce energy use. Trailer boat cruisers, pontooners, waterskiiers, and PWC owners can cruise new waters by using the free, online Boat Launch Ramp Locator at www. boatus.com/trailerclub. The Ramp Locator offers over 25,000 locations to launch a boat including municipal or state boat ramps, marinas, boat clubs, private sites and other locations that offer trailer boat access. Now, planning a trip to a new lake, river, or bay can easily be done from the comfort of your own home. If you know of a boat ramp location not listed, you can easily submit the information and get a free trailer ball hitch cover from the BoatU.S. Trailering Club. The club offers 24/7 roadside and towing assistance for boat trailer breakdowns as well as tow vehicles, launch ramp fee rebates, and a subscription to BoatU.S. Trailering magazine with information on towing techniques, how-tos, destinations and more. Boston Whaler Boats launched its 50th anniversary year as a manufacturer of recreational fishing and pleasure boats with the February introduction of the company’s first official, factory-sponsored owners club. The Boston Whaler Owners Club features a still-growing package of exclusive discounts and offers, fellow Whaler owner interaction, special events, and other benefits available only to Whaler owners. The club is operated as a totally interactive, online experience with free membership for current Whaler owners. “For 50 years Boston Whalers have been universally recognized as unique and superior products. As a result, Whaler owners have been an intensely loyal group,” said John Ward, president of Boston Whaler.